The program was established as a means for the court system to address the overwhelming number of mortgage foreclosure cases coming into the system. The Court has reviewed the reports on the program and determined it cannot justify continuation of the program. Accordingly, upon issuance of this administrative order, the statewide managed mediation program is terminated. Circuit chief judges are vested under article V, section 2(d), Florida Constitution, with responsibility for the administrative supervision of their circuits. Section 43.26, Florida Statutes, authorizes circuit chief judges “to do everything necessary to promote the prompt and efficient administration of justice.” These authorities empower the circuit chief judges to adopt or employ any measures permitted by statute or court rule to manage pending and new residential mortgage foreclosure cases, including referral of cases to mediation on a case-by-case basis pursuant to section 44.102, Florida Statues, and Florida Rule of Civil Procedure 1.700(a). Third District Judge Juan Ramirez, Jr. started a new blog, "Florida Law Update." "The blog covers appellate cases as they are released from the Third District and other appellate courts in the state. It is intended merely as a mechanism for alerting busy lawyers to what Judge Ramirez considers significant or interesting cases, with a link so that you can read the entire opinion. Judge Ramirez will just report the cases in a neutral, nonjudgmental manner, particularly the Third District’s own opinions." The emphasis is mine. You can view the blog by clicking on the title above (in this post), or in the "Florida Legal Websites and Blogs" list located on the right of this page. On that note, there are a number of blogs and sites that may be of interest in the various lists on the right of this page or on the "Links" page of this blog. As discussed HERE, the Florida Supreme Court declined to accept a settlement stipulation today and will answer the question certified by the Fourth District in a foreclosure lawsuit. Therefore, I thought it was worth posting two state supreme court opinions relating to foreclosure that were sent to me in the past days/weeks. Previously, HERE, I noted the Maine Supreme Judicial Court's opinion in JPMorgan Chase Bank v. Harp (Jan. 6, 2011), and the Massachusetts Supreme Judicial Court's decision in U.S. Bank National Association v. Ibanzez (Jan. 7, 2011). Two other state supreme courts were released in the last couple of weeks. The Arizona Supreme Court released THIS opinion in Vasquez v. Saxon Mortgage, Inc., and answered a certified question from the United States Bankruptcy Court. Additionally, the Maine Supreme Judicial Court released THIS opinion in Federal National Mortgage Association v. Bradbury. In Bradbury, the Maine Supreme Judicial Court stated that "Bradbury challenges the court’s failure to find loan servicer GMAC Mortgage, LLC in contempt pursuant to M.R. Civ. P. 56(g) after sanctioning Fannie Mae for submitting a bad faith affidavit for purposes of summary judgment. She also contends that the court erred in failing to award her attorney fees and costs associated with opposing Fannie Mae’s motion for a protective order." The court stated that "The affidavit in this case is a disturbing example of a reprehensible practice. That such fraudulent evidentiary filings are being submitted to courts is both violative of the rules of court and ethically indefensible. The conduct through which this affidavit was created and submitted displays a serious and alarming lack of respect for the nation’s judiciaries." In the circumstances of this case, however, we do not disturb the sanctions fashioned by the court for the bad faith affidavit. Courts have rule-based, as well as inherent, power to hold parties in contempt.....but the decision of whether or not to do so rests in the considerable discretion of the trial court. Our decision is supported by substantial authority—or rather, the lack thereof—from other jurisdictions. To date, no published opinion shows that a court in Maine or any other state has imposed a contempt finding pursuant to Rule 56(g) for submitting a bad faith affidavit. Further, although M.R. Civ. P. 56(g)—in effect without amendment since 1959—largely duplicates the language of Fed. R. Civ. P. 56(h)5—in effect since 1937—no federal court has ever issued a finding of contempt on this basis. The first certified question is whether “the recording of an assignment of deed of trust [is] required prior to the filing of a notice of trustee’s sale under A.R.S. § 33-808 when the assignee holds a promissory note payable to bearer.” The answer is no; Arizona law imposes no such requirement. The court declined to answer the second certified question because it determined that answering the question would not dispose of an issue in the case pending before it. The oral argument, held at the University of Arizona, can be viewed HERE. DOES A TRIAL COURT HAVE JURISDICTION AND AUTHORITY UNDER RULE 1.540(b), Fla. R. Civ. P., OR UNDER ITS INHERENT AUTHORITY TO GRANT RELIEF FROM A VOLUNTARY DISMISSAL WHERE THE MOTION ALLEGES A FRAUD ON THE COURT IN THE PROCEEDINGS BUT NO AFFIRMATIVE RELIEF ON BEHALF OF THE PLAINTIFF HAS BEEN OBTAINED FROM THE COURT? Pino v. Bank of New York Mellon, 57 So. 3d 950, 951 (Fla. 4th DCA 2011). The Fourth District's opinion was previously discussed HERE. Based upon the Fourth District's certified question, the Florida Supreme Court accepted jurisdiction. Pino v. Bank of New York, 58 So. 3d 261 (Fla. 2011). 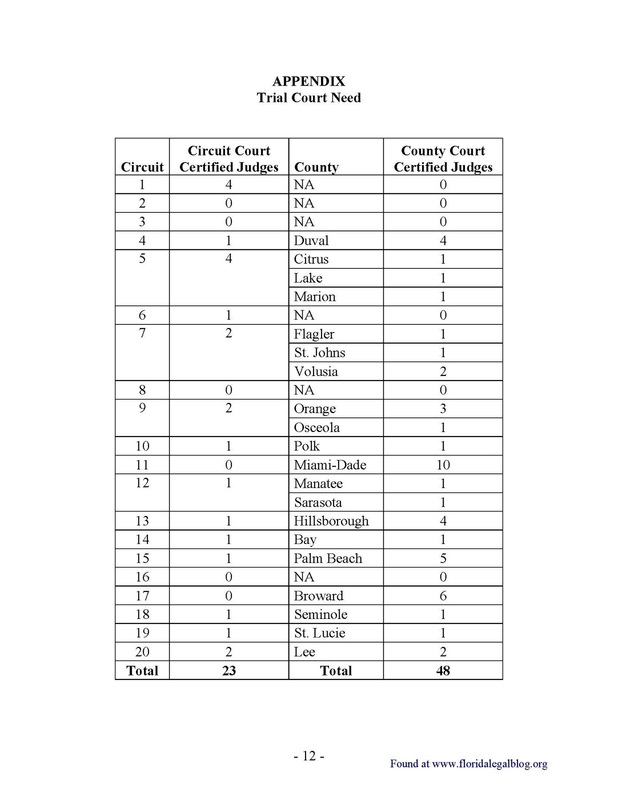 The question certified to us by the Fourth District Court of Appeal in this case transcends the individual parties to this action because it has the potential to impact the mortgage foreclosure crisis throughout this state and is one on which Florida’s trial courts and litigants need guidance. The legal issue also has implications beyond mortgage foreclosure actions. Because we agree with the Fourth District that this issue is indeed one of great public importance and in need of resolution by this Court, we deny the parties’ request to dismiss this proceeding. Analyzing Florida Rule of Appellate Procedure 9.350, the supreme court stated that the "language of this rule does not impose upon the appellate court a mandatory obligation to dismiss a case following the filing of a notice of dismissal before a decision on the merits has been rendered. Rather, this Court has long recognized its discretion to retain jurisdiction over a matter and proceed with an appeal notwithstanding a litigant’s timely filing of a notice of dismissal pursuant to rule 9.350, especially when the matter involves one of great public importance and is likely to recur." Consistent with the rationale undergirding our prior precedent, we conclude that these circumstances fully support this Court’s decision to exercise its discretion to retain jurisdiction over and decide the merits of this important case. To adopt the dissent’s interpretation of rule 9.350(a)—that the act of the parties’ stipulation for dismissal is binding on the Court—would require us to recede from our past decisions recognizing just the opposite. Instead, we adhere to our precedent and, accordingly, exercise our discretion to deny the parties leave to dismiss this review proceeding. Under the Florida Constitution, this Court does not have the power to reach out and grab cases that we deem worthy of our attention. Nor should we exercise the power to grasp a case which has been brought to the Court but which the parties wish to dismiss before it has ever been considered by the Court on the merits. In doing so, we step beyond the proper role of an appellate court to adjudicate those cases that are properly presented to it by a party seeking review. Previously, Florida's Chief Financial Officer established the post-judgment interest rate on an annual basis. However, beginning July 1, 2011, the CFO sets the interest rate on December 1, March 1, June 1, and September 1 of each year. A post when the 2011 statutory rate of interest was announced can be viewed HERE. A post when the 2010 statutory rate of interest was announced can be viewed HERE. In Kerzner v. Kerzner (3D10-3124), the Third District affirmed "an order and final judgment which determined that proceeds from the sale of a marital home, pursuant to the terms of a marital settlement agreement, were subject to homestead protection under the Florida Constitution." Appellant, Mario Alvarez, as personal representative of the estate of Jose Ramon Alvarez, appeals a final judgment in favor of Cooper Tire Company in a products liability action. Alvarez complains that the trial court abused its discretion in limiting document discovery from Cooper Tire to those involving tires with the same or similar specifications. Two trial judges conducted multiple hearings and document reviews, both concluding that the limitations were appropriate. We find no abuse of discretion and affirm. Regarding the facts, the Court stated: "In December 2000, Abraham Calel was driving his 1994 Isuzu P15 pick-up truck on the Sawgrass Expressway with Jose Alvarez, sitting in the right-side passenger seat, and Rudy Velasquez, sitting in the middle. Neither the driver nor the passengers had on their seatbelts. Without warning, the right rear tire tread completely separated from the tire but the tire remained inflated. When this happened, the driver lost control of the pick-up truck, went off the highway, and the truck rolled over. Alvarez was partially ejected from the vehicle and ended up pinned underneath the truck. He died by asphyxiation. The other passenger was also killed in the accident. The driver survived." The court described the facts relevant to the discovery issue: "The failed tire was a Cooper Trendsetter Steel Belted Radial Tire (Cooper Trendsetter SE, P205/70R14), produced in Tupelo, Mississippi during the 15th week of 1998 pursuant to Green Tire Specification 3011. After institution of the lawsuit, Alvarez filed a multitude of discovery requests. Those requests demanded discovery of information and documents regarding all light truck tires manufactured by Cooper.........Cooper objected to the discovery based up on trade secret, burdensomeness, and that the plaintiff was entitled to discovery only for those tires which were substantially similar to the tire which was the subject of the lawsuit. Cooper maintained that those tires with the same or related GTS number, namely GTS 3011 and 3163, were the only tires substantially similar to the subject tire. Alvarez, however, claimed that the tires manufactured to other Green Tire Specifications were substantially similar in that all Cooper tires were manufactured using the same basic processes." There were four different discovery disputes, before two different judges in the Circuit Court. The original trial judge, Judge Brunson, held a two day hearing in 2003. Although no live testimony was taken, the parties showed the judge a demonstration tire to explain tire construction and the manufacturing process. Both sides proffered expert affidavits and argued their respective implications........After this thorough hearing, and having taken additional time to review material submitted, Judge Brunson limited discovery 'to the subject tire and substantially similar tires which this Court defines as tires designed and manufactured according to Green Tire Specification 3011 and its Related Specification 3163.' Cooper then produced over 1,500 documents regarding those tires. In 2005, Alvarez filed a second motion to compel. He sought specific Cooper documents which had been produced in consolidated lawsuits in California, known as “the JCCP” (“Judicial Council Coordinated Proceeding”). This California proceeding permitted discovery to be coordinated between multiple lawsuits against Cooper, involving many different GT Specification tires, none of which included the tire specifications involved in this case. These documents were designated trade secret by the California judge. The parties obtained an order authorizing the Florida courts to inspect these documents for the purpose of this discovery dispute. Judge Brunson conducted a two-day hearing with extensive argument regarding the 139 documents. Some of the documents were reviewed during the hearing. The judge then reviewed the remaining documents. She denied discovery, concluding that the documents were protected by trade secret and plaintiff had not shown a reasonable necessity to require their production. None of the documents included the 3011 or 3163 tire specification numbers. When this case was assigned to Judge Fine in 2005, Alvarez filed another motion to compel production of the JCCP documents. This time, he pointed out that these documents had been produced in an Arizona case and again claimed that they should be produced in this case, as he claimed that the tires in the Arizona case were virtually identical. Those tires, however, had different GTS numbers. Judge Fine held a hearing and then reviewed the documents himself. He denied production. In 2007, Alvarez filed another motion, this time to vacate the original 2003 order limiting discovery to the two GTS numbers. He based his request on an order of Judge Kenneth Stern who had allowed additional production of documents in another Cooper Tire case pending in the Fifteenth Circuit in Palm Beach County. That case, however, did not involve GTS numbers 3011 or 3163. Judge Fine again held a hearing on the issue and again denied discovery, noting that he simply disagreed with Judge Stern’s ruling. "On appeal, Alvarez argues that the trial court’s limitation of discovery to the 'subject tire and substantially similar tires,' defined as 'tires designed and manufactured according to Green Tire Specification 3011 and 3163,' was too narrow and deprived him of relevant discovery......In products liability actions, when a plaintiff seeks discovery regarding other products manufactured by the defendant, Florida courts have uniformly held that the other products must be 'substantially similar' to the subject product." Whether another product is “substantially similar” is a question for the trial court based upon all of the proofs presented. In this case, the trial judge reviewed the affidavits from the experts, saw a demonstration of the tire at the hearing, heard argument of counsel, and reviewed many of the documents. In fact, two trial judges reviewed documents and held multiple hearings on the issue, and each came to the same conclusion—that discovery was properly limited to tires with the subject GTS numbers. Based upon the record before us, we cannot find that the court abused its discretion. This court adheres to review of discovery orders under an abuse of discretion standard. Trial judges must be afforded leeway in making the relevance and burdensomeness decisions required in discovery disputes. Otherwise, the cost and burden of civil litigation will imperil its very existence. 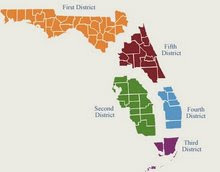 The Local Rules for the Southern District of Florida have been amended, effective December 1, 2011. The new rules are below and followed by the order implementing the rule change which shows the changes in the rules. "Finally, we conclude that the United States Supreme Court's recent decision in Rent-A-Center, West, Inc. v. Jackson, 130 S. Ct. 2772 (2010), is inapplicable here." Justice Perry wrote the majority opinion which was joined by Justice Lewis, Justice Quince and Justice Labarga. Justice Pariente concurred in result. Justice Polston wrote a dissenting opinion which was joined by Chief Justice Canady. This is one of two arbitration opinions released today. The other, Gessa v. Manor Care of Florida, Inc. (SC09-768), is discussed HERE. In this case, "Edward Clark was involved in an automobile accident in 1977, and he sustained brain damage. For many years, Clark's care was provided by his niece, Gayle Shotts, in her home. Eventually, Clark was admitted to OP Winter Haven, Inc., a nursing home in Florida. He remained there until his death in 2003, at which time Shotts, as his personal representative, filed a complaint against OP Winter Haven alleging negligence and breach of fiduciary duties. OP Winter Haven moved to compel arbitration based on an agreement Shotts had signed on Clark‟s admission. The agreement contained the following 'limitations of remedies' provisions: (i) the arbitration will be conducted in accordance with the American Health Lawyers Association (AHLA) rules; and (ii) the arbitrators will have no authority to award punitive damages. The agreement also stated that its terms were severable. At the hearing on the motion to compel, Shotts argued that the agreement was unenforceable because it was unconscionable and violated public policy. The trial court granted the motion, and the district court affirmed. Shotts sought discretionary review, which we granted." ...this Court in Seifert held that it was for the court, not the arbitrator, to determine “whether a valid written agreement to arbitrate exists,” Seifert, 750 So. 2d at 636 (emphasis added), and we later explained the meaning of the term “valid” in this context, with respect to arbitration and public policy: “No valid agreement exists if the arbitration clause is unenforceable on public policy grounds.” Global Travel, 908 So. 2d at 398. Thus, under Siefert and Global Travel, it is incumbent on the court, not the arbitrator, to determine whether an arbitration agreement violates public policy. This conclusion is consistent with the vast weight of authority in Florida, as discussed above. Based on the foregoing, we conclude that the limitations of remedies provisions in the present case violate public policy, for they directly undermine specific statutory remedies created by the Legislature. See §§ 400.022, 400.023, Fla. Stat. (2003)....In light of the recognized need for these remedies and the salutary purpose they serve, we conclude that any arbitration agreement that substantially diminishes or circumvents these remedies stands in violation of the public policy of the State of Florida and is unenforceable. In this respect, we find the rationale of the Fourth District Court of Appeal in Blankfeld and Romano cogent and compelling. Under the above standard of review, we hold that the district court below erred in failing to rule that the limitations of remedies provisions in the present case violate public policy. "In this claim Shotts contends that the district court below erred in ruling that the limitations of remedies provisions in the present case are severable.The trial court below held that the provisions were not severable. The district court reversed. The district court held that, if the arbitrator were to conclude that these provisions violate public policy, they are severable. Shotts contends that the district court erred in so ruling—she contends that these limitations of remedies provisions violate public policy and are not severable. We agree." The court concluded: "Based on the foregoing, we conclude that the limitations of remedies provision in the present case that calls for the imposition of the AHLA rules is not severable from the remainder of the agreement. Although the arbitration agreement in this case contains a severability clause, the AHLA provision goes to the very essence of the agreement. If the provision were to be severed, the trial court would be forced to rewrite the agreement and to add an entirely new set of procedural rules and burdens and standards, a job that the trial court is not tasked to do." "Approximately two weeks after this Court heard oral argument in the present case, the United States Supreme Court issued its decision in Rent-A-Center, West, Inc. v. Jackson, 130 S. Ct. 2772 (2010)....[and] held that, where there has been no specific challenge to the delegation provision, the arbitrator, not the court, must decide the issue." The Florida Supreme Court concluded that: "In the present case, because the arbitration agreement contained no delegation provision, there was no such provision for Shotts to challenge. Instead, she challenged the arbitration agreement itself. This was the proper course of action under the section 2 template, for unlike the situation in Jackson, the entire arbitration agreement in the present case operated as the “written provision . . . to settle by arbitration a controversy,” in the section 2 lexicon." The dissent began "Because the majority's opinion seriously violates the Federal Arbitration Act and its accompanying federal substantive law, I respectfully dissent....Once again, this Court erroneously applies Florida law to invalidate an arbitration agreement in violation of the Federal Arbitration Act. See Cardegna v. Buckeye Check Cashing, Inc., 894 So. 2d 860 (Fla. 2005) (applying Florida law to hold that Florida courts rather than an arbitrator should make determination), rev'd, Buckeye Check Cashing, Inc. v. Cardegna, 546 U.S. 440, 446 (2006) (rejecting “the Florida Supreme Court's conclusion that enforceability of the arbitration agreement should turn on „Florida public policy and contract law,‟ 894 So. 2d at 864”). As provided by the Federal Arbitration Act (FAA), the arbitration agreement should be enforced as agreed by the parties, not stricken at the whim of this Court." [emphasis is mine]. In Venture Holdings & Acquisitions Group, LLC v. A.I.M. Funding Group, LLC (4D10-832), Real Investments, LLC v. A.I.M. Funding Group, LLC (4D10-1159), and Real Investments, LLC v. A.I.M. Funding Group, LLC (4D10-1848), the Fourth District released THIS consolidated opinion and held "that because A.I.M. did not file the original promissory note or account for its absence before the court entered summary judgment, we must reverse the summary judgment orders in each of the cases. We further find that A.I.M. lacked standing to foreclose at the time it filed its complaints, but that some parties waived the defense of lack of standing." An assignment of a promissory note or mortgage, or the right to enforce such, must pre-date the filing of a foreclosure action. Jeff-Ray Corp. v. Jacobson, 566 So. 2d 885, 886 (Fla. 4th DCA 1990). A party must have standing to file suit at its inception and may not remedy this defect by subsequently obtaining standing. Progressive Exp. Ins. Co. v. McGrath Cmty. Chiropractic, 913 So. 2d 1281 (Fla. 2d DCA 2005). “The assignee of a mortgage and note assigned as collateral security is the real party in interest, that he holds the legal title to the mortgage and note, and that he, not the assignor is the proper party to file a suit to foreclose the mortgage.” Laing v. Gainey Builders, Inc., 184 So. 2d 897 (Fla. 1st DCA 1966); see also A & B Discount Lumber & Supply, Inc. v. Mitchell, 799 So. 2d 301, 307-08 (Fla. 5th DCA 2001). 1. DOES THE GENERAL FIDELITY POLICY ALLOW THE INSURED TO APPLY INDEMNIFICATION PAYMENTS RECEIVED FROM A THIRD-PARTY TOWARDS SATISFACTION OF ITS $1 MILLION SELF-INSURED RETENTION? 2. ASSUMING THAT FUNDS RECEIVED THROUGH AN INDEMNIFICATION CLAUSE CAN BE USED TO OFFSET THE SELF-INSURED RETENTION, DOES THE TRANSFER OF RIGHTS PROVISION FOUND IN THE GENERAL FIDELITY POLICY GRANT SUPERIOR RIGHTS TO BE MADE WHOLE TO THE INSURED OR TO THE INSURER? In 2000, ICI contracted with Custom Cutting, Inc. for Custom Cutting to provide trim work, including installation of attic stairs in a residence that ICI was in the process of building. The contract between Custom Cutting and ICI contained an indemnification provision requiring Custom Cutting to indemnify ICI for any damages resulting from Custom Cutting’s negligence. In April 2007, Katherine Ferrin, the owner of a residence constructed by ICI, fell while using the attic stairs installed by Custom Cutting. This fall resulted in serious injuries. Ferrin then filed suit against ICI for her injuries; she did not file suit against Custom Cutting. In turn, ICI sought indemnification from Custom Cutting under the terms of the subcontract. At the time of the accident, Custom Cutting maintained a commercial general liability insurance policy with North Pointe Insurance Company. ICI was not an additional insured under Custom Cutting’s policy with North Pointe. ICI, meanwhile, held the General Fidelity Policy at the time of the accident. Contained in the General Fidelity Policy was a Self-Insured Retention endorsement (the “SIR endorsement”) in the amount of $1 million. ICI, Custom Cutting, North Pointe, General Fidelity, and Ferrin participated in a mediation of Ferrin’s suit. At the mediation, the parties agreed to a $1.6 million settlement of Ferrin’s claim. As part of the settlement, North Pointe agreed to pay ICI $1 million to settle ICI’s indemnification claim against Custom Cutting. ICI, in turn, would pay that $1 million to Ferrin. The instant dispute then arose as to whether ICI or General Fidelity was responsible for paying Ferrin the other $600,000. [emphasis is mine]. "The parties disagree about which provisions of the General Fidelity Policy are relevant; however, the crux of the dispute focuses on the SIR endorsement and the transfer of rights clause. The SIR endorsement states that General Fidelity will provide coverage only after the insured has exhausted the $1 million SIR. The parties dispute the effect of the language in the SIR endorsement as applied to these facts. The transfer of rights clause, on the other hand, grants the insurer some subrogation rights, the extent of which are also disputed." To more narrowly frame this dispute, there can be no disagreement that had ICI borrowed the $1 million from a bank, deposited those funds, and then used those funds toward the settlement, that money would be credited toward the SIR. A more difficult question would be whether a separate insurance policy previously obtained by ICI to cover the retained amount could reduce the SIR. General Fidelity cites several cases to establish that money derived from additional insurance policies cannot be used to satisfy the SIR, and argues to this court that these decisions should be highly persuasive to this issue before us, just as they persuaded the district court. We are not completely convinced, however, that these cases are persuasive to the interpretation of the General Fidelity Policy before us today. [emphasis is mine]. The second issue was described as follows: "Additionally, there is a related dispute between the parties as to whether the 'made whole doctrine' applies or whether the parties contracted around that doctrine given the language of the transfer of rights provision. Assuming that ICI could apply the funds it received to satisfy its SIR, the issue then becomes whether the transfer of rights provision in the General Fidelity Policy gave ICI or General Fidelity the priority to recover....The language of this provision on its face is clear—the insurer has subrogation rights. Given that both ICI and General Fidelity have some rights, the language is still completely silent as to who has priority to recover when the indemnity amount is insufficient to 'make whole' both parties." Due to the uncertain state of the law, the Eleventh Circuit certified the two questions above to the Florida Supreme Court for resolution. The Eleventh Circuit has the Public Notice copied below on its website indicating that voluntary electronic filing will begin on January 1, 2012. According to the Pacer Service Center, "Beginning December 1 you may register for electronic filing with the 11th Circuit through the Appellate ECF application at http://www.pacer.gov/reg_ap.html." The 11th Circuit U.S. Court of Appeals will begin VOLUNTARY electronic filing on January 1, 2012. Pursuant to Section 4.4 of the ECF Guide, the electronic filing of a Certificate of Interested Persons (CIP) in ECF does not relieve an Attorney Filer of the requirement to also complete and keep updated the web-based CIP on the Court's web site. To complete the web-based CIP, counsel must obtain from the clerk an Eleventh Circuit password that is independent of PACER and ECF passwords. In Inquiry Concerning A Judge, No. 09-01 Re: N. James Turner (09-1182), the Florida Supreme Court released an opinion and held "that Judge Turner is unfit to hold judicial office and that removal is the only appropriate sanction. For the reasons stated above, N. James Turner is hereby removed as a judge of Florida‘s Ninth Judicial Circuit." The opinion is interesting and details the facts leading to his removal. Articles can be read in the Orlando Sentinel (Florida Supreme Court permanently removes hugging judge); Miami Herald (State Supreme Court removes central Florida judge); and another in the Orlando Sentinel (Supremes remove Turner from the bench). I would address the merits of Judge Turner‘s argument that Canon 7C(1)‘s prohibition of all personal solicitation of campaign contributions by judicial candidates violates the First Amendment of the United States Constitution, hold that prohibition unconstitutional, reject the Panel‘s finding of guilt regarding count 5, but nonetheless remove Judge Turner from office based on his other misconduct. Proper judicial restraint does dictate that when legislative or executive action is challenged on constitutional grounds, the courts should avoid the constitutional issue if the case can be decided on other grounds. This principle of judicial restraint has no proper application where the constitutional challenge is to a judicially adopted rule which trenches on constitutional rights. This Court was responsible for the adoption of Canon 7C(1) and is responsible for its continuing existence. To the extent that Canon 7C(1) infringes on speech rights protected by the First Amendment, this Court bears responsibility for the ongoing constitutional violation. When presented with a case which properly presents a constitutional challenge to a rule we have adopted, we should not decline to address it but should use the opportunity to ensure that we have exercised our rule-making power in a way that is consistent with constitutional requirements. If Canon 7C(1) violates the First Amendment, Florida state judges who wish to vindicate their First Amendment rights should not be required to seek relief in federal court or in state circuit court while the Florida Supreme Court remains silent. I similarly conclude that Florida‘s interest in preserving the actual and apparent impartiality of Florida‘s judiciary is not significantly protected by Canon 7C(1). Canon 7C(1) completely chills a candidate‘s speech regarding contributions while providing only marginal protection against actual or perceived judicial bias. I therefore conclude that Canon 7C(1) encroaches on the free speech rights of judicial candidates in violation of the First Amendment of the United States Constitution.